Welcome to 26 miles of uncrowded beaches ! Welcome to StPeteClearwater.com, the OFFICIAL website of the 26 miles of clean pristine beaches in the St. Petersburg / Clearwater area. Unlike beaches in other parts of the world, our beaches are wide open - you will never feel crowded here. Whether you are visiting or considering relocating to our area, we have lots of useful information for you on our website. Welcome to Paradise ! 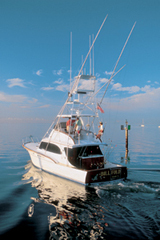 Tropical Isles Realty - located in Indian Rocks Beach, broker Bob Schmidt has three decades of local experience. From condos to beachfront mansions, Bob is your man. Jack Collins Realty - helping and serving for 40+ years. Broker Nancy Wagner is one of the smartest and best realtors on the beach. Located in Indian Shores. RE/MAX All star - have you experienced the RE/MAX difference? British father and son team Keith and Nick Fraser and their full-time agents are ready to help. Located in Madeira Beach. Pinellas County consists of the Pinellas Peninsula, which is on the west coast of Florida. The entire coastline is one long, white, uncrowded beach. The beach stretches from Clearwater, in the north, to Pass-a-Grille, in the south. Between them there are many small towns that have grown up and blended together into one long, relaxed beach town. Each town has its own unique stretch of sand and unique atmosphere. 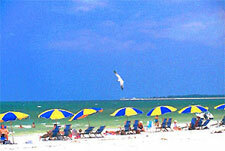 Clearwater Beach, for example has soft white sand and lots of things to do. Indian Rocks Beach, one the other hand is beloved by locals, has great nightlife, but it not as busy as Clearwater Beach. Pass-a-Grille (St. Pete Beach), which is furthest south in our fair county, tends to have the most shells. Many of the nicest hotels and motels aren't advertised in local guidebooks. They're unassuming places run by friendly people. Click on the links in the lefthand column to find lodging along our beaches. Why don't you come down, explore the beaches and enjoy paradise ! the OFFICIAL website for St. Petersburg, Clearwater and everything in between.